This is such a cute board book! 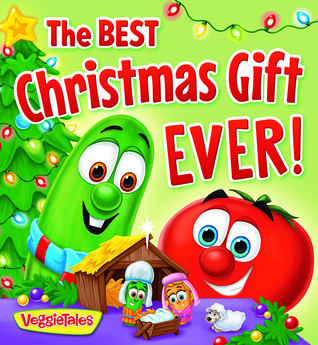 I love VeggieTales and I know many little ones who think they are great fun. This book you could read as if in song, I can hear Junior in the background in my mind as I turn the page. While Christmas is a fun time of year it is difficult to get children to understand anything other than gifts and trees and candy. This book says those things are nice but really we are to celebrate the birth of Christ. This would make a wonderful addition to your Christmas kids library.
" Thanks to Worthy Publishing for the gift of this book. All opinions are my own."